Starting a Business Workshop Series (Part 1/3) - Learn how to go from 0 to entrepreneur. Starting a Business Workshop Series (Part 1/3) (Make sure to get tickets for Part 2 & Part 3 to the get the FULL value of this Workshop Series) Starting a Business: This workshop is directed to the entrepreneur at the conceptual stage. We will discuss: •Personal and business assessment process •Basics of a business plan •How to finance the business •An introduction to different business entities •Certifications that can help businesses grow •and MORE! 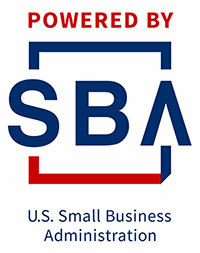 Sponsored and paid for by: the United States Small Business Administration, Small Business Development Center at NJCU, New Jersey City University, and Kearny Point. Have a comment or question? send us an email at sbdc@njcu.edu or visit us at sbdchudsoncounty.com Parking: Metered Street Parking & Public Transportation Available Training Courses and Event Policy: Because we value the safety and security of our attendees and the communities they participate in, the following will not be accepted at any event hosted, organized, or participated by the SBDC. •Children under 8 years of age. •Children between 8-18 years of age without parental supervision. •Inappropriate language or behavior. •Unprofessional attire. Event attendees/participants violating these rules may be sanctioned or expelled from the event at the discretion of the event staff.